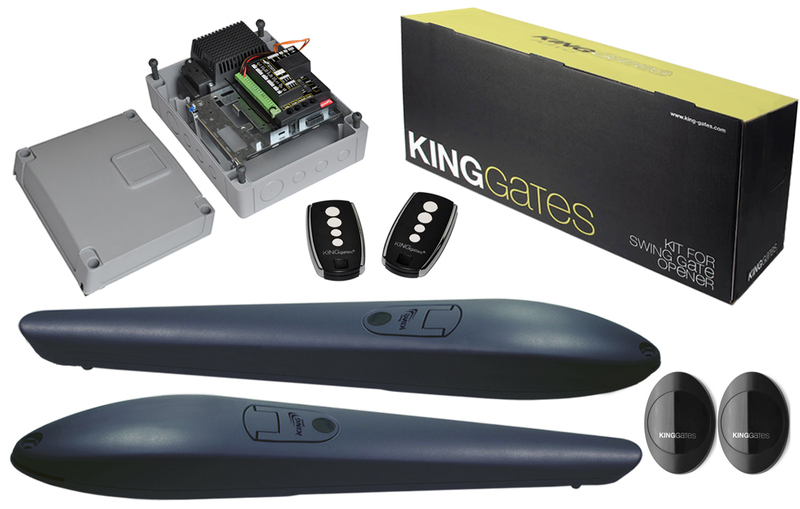 The Dynamos 1800 LT Kit is a stylish and modern and is ideal for heavy residential and commercial sliding gate. It is powered by a 24 Volt transformer and can move up to 1800 kg in weight. The system is very easy to program due to its automatic program function. The Dynamos 1800 boasts many innovative features, including a slow-down facility on opening and closing, obstacle detection to ensure safety, secondary safety input for additional photo cells or safety edges, and has partial opening for pedestrian use. The benefit of a low voltage system is the capacity for high use and the opportunity for battery backup in case of power cuts. 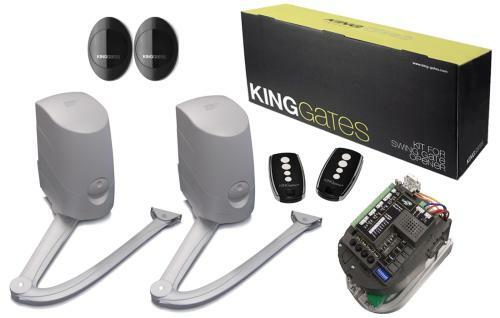 The kit consists of: One Dynamos 1800 with built-in control unit and radio receiver. 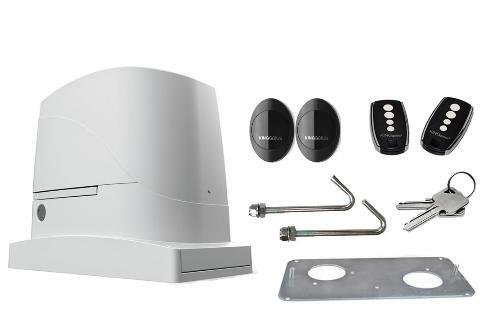 (The radio receiver has a capacity for up to 200 remote controls); two Stylo 4 radio transmitters; one pair of Viky 30 photo beams; one foundation plate; mechanical limit switches for setting opening and closing distances: one fixings pack and a pair override keys.